GuitarBots, Educative Software from Ovelin. Ovelin, the guitar iOS apps developer, launched GuitarBots, a software that allows guitar players of all levels to learn to play online. GuitarBots can be used with any web browser on Mac and Windows. The software features a proprietary note recognition technology which allows for using one's own electric or acoustic guitar. You can use the computer microphone o a guitar adapter connected to your computer. If you use an electric guitar, you can put a microphone in front of the cab o connect the instrument directly to the computer and use an amp simulation software. 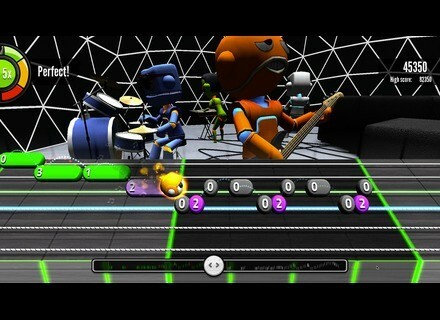 GuitarBots currently offers 300 levels of difficulty and can be used by both learners and experienced players. 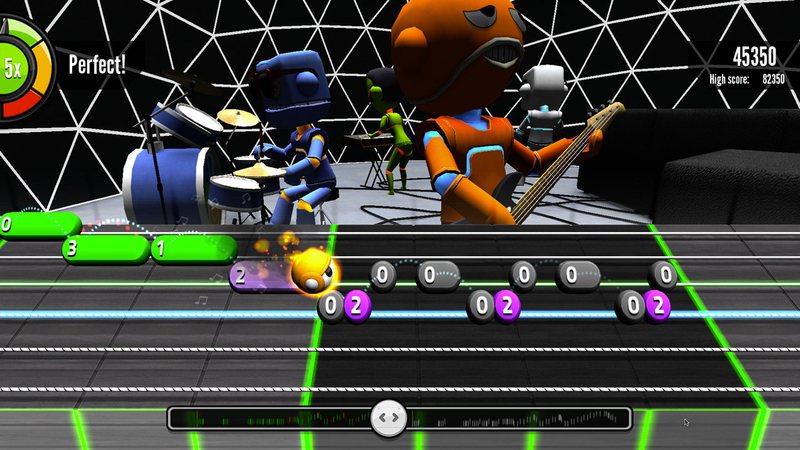 In use, the software works just like Guitar Hero or any similar game, with colored bubbles on a virtual fretboard that have to be followed. Several tools are also included, such as a tuner, loop and time stretch features, a DIY level editor, tutorials and more. You can also play online against other users. GuitarBots is available in three versions: one free which lets you play 5 minutes per day, and up to one hour, for inviting friends to use the app will get you extra time (5 minutes per friend) ; a $9.99 monthly Premium subscription, with no time limit, and the ability to ask a guitar teacher some questions. Last, a $129.99 Personal Coach subscription will soon give you the opportunity to be coached every week. Voxengo launches Span Plus Voxengo announces the release of a more complete version of its Span FFT spectrum analyzer, sold at a special price until June 1st. A MIDI rock fills pack at Toontrack Toontrack launched today Basic Rock Fills MIDI, a new drum fills and transitions in MIDI format for your rock compositions.